Washington, D.C. (June 22, 2018) -- The National Association of Black Journalists (NABJ) board of directors on Monday accepted the resignation of Executive Director Sharon Toomer. 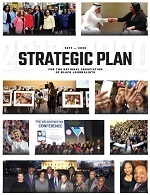 By the NABJ convention, the board will provide an update regarding the recruitment of a new executive director to lead the NABJ into the future. Last month, longtime NABJ member Drew Berry of Drew Berry & Associates LLC was hired to assist with convention planning and will also work on national office operations. 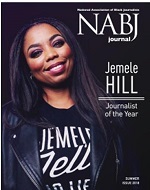 Berry is a former television executive and has previously served as NABJ's interim executive director. The association is excited to be hosting its annual convention and career fair Aug. 1-5 in Detroit. Find #NABJ18 registration, hotel, and additional information at www.nabjconvention.com.